Jiaozis with no stuffing. Taobao with no kuaidi. Empty, sad, meaningless. That’s what your WeChat messages are without GIFs (stickers). And as everybody fights to be the coolest kid in WeChat groups with the coolest stickers, make sure you always win: show off with your very own GIFs. Join Katie and Pamela in a workshop where you will learn how to create and design your own GIF. Beyond making gifs, what you will actually learn are animation techniques that you can later take a step further and make videos too. We will teach you how to make simple animations (gifs) as an introduction to two different techniques: animated vectors (artwork or words) and stop motion (photos). You will follow a series of gifs as references on style and construction. Plus, if time allows, we’re going to explain how you can submit stickers to the WeChat sticker collection. If you have a company or a product, this a creative and unique way to promote your brand or creations on WeChat but also on any other social media channel! **Requirements: No previous knowledge is needed, but you do need to be familiar with how to use a computer. Come by our lab during our opening hours to book your spot. Questions? Send us an email to [email protected]. 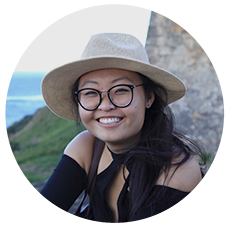 Katie Chen is a Chinese Interactive Media Arts major with a focus on combining coding and design at New York University Shanghai. Katie has been coding intensively for about a year and half now and she can write in HTML, CSS and processing (p5 js) as well - a graphic programming language that's gotten popular over the past couple of years. Among the many things she has done, she has developed a drumming game (graphics in processing, Arduino and sensors for the physical reactions). Katie can create really cool animations just by typing commands. Aside from being a part of her formal education, coding and animating are a couple of Katie's favorite hobbies. 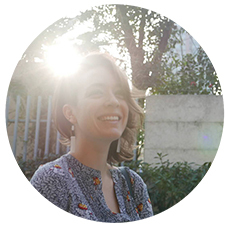 Pamela Martello is a Mexican jewelry designer who has been creating original and stylish 3D and 2D designs for the past 9 years. Jewelry is Pamela's true love, but she has a decade-long love affair with graphic design and Illustrator, with which she complements her jewelry creations. Pamela is a graduate from the European Institute of Design (IED) in Rome, Italy. She entered the IED through the big door, by winning a design competition and being awarded a scholarship. Upon graduating in jewelry design, Pamela took a graphic design specialization, also at the IED. In her career, Pamela has won multiple jewelry and graphic design awards, including an artwork design award for American Express. Pamela has been creating jewelry in Shanghai for the past 4 years. Last year, Pamela discovered Xinfab and immediately joined our core team as a volunteer. She loves the laser and the 3D printers and is always experimenting in other fields related to design, where she finds inspiration for her creations. She has also taught many workshops with us. For Pamela, travelling, exploring, and living in different places offers a constant stream of stimulus for new ideas (plus a little fantasy too).